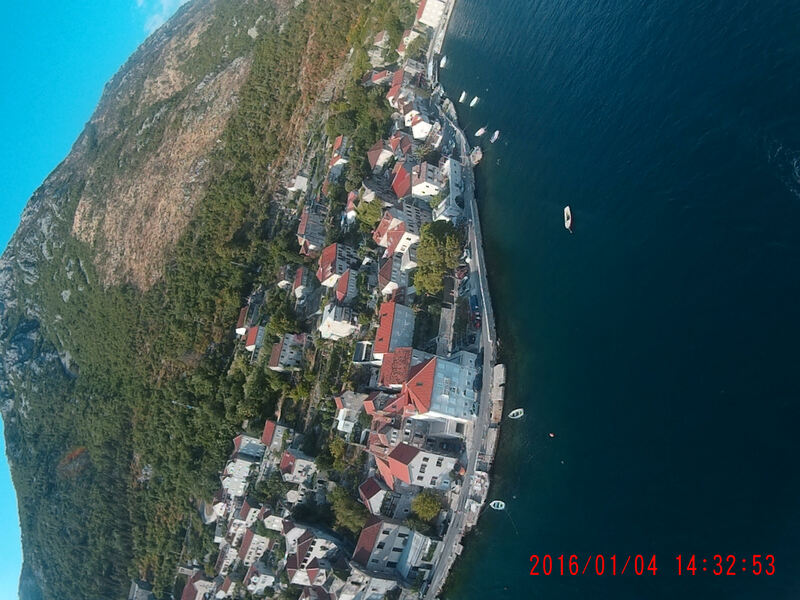  Public Lab: Cheap, lightweight GoPro alternatives for aerial mapping? Question: Cheap, lightweight GoPro alternatives for aerial mapping? Related to various efforts to use smaller kites and balloons to do aerial mapping with lighter cameras, the Mobius Action Cam that many Public Labbers use is great, at ~$70 and ~40 grams, but I'm starting to see GoPro look-alikes show up on Amazon for even less, and with waterproof enclosures and sometimes even Wifi connectivity. I collected a few here, but have folks tried any of these, or have other suggestions for cheap, <100 gram cameras to fly on balloons and kites? Update: we now carry a version of these in the Public Lab store! And there is a guide here to modifying one of these to take infrared/multispectral photos. Update: a lot of these listed as 4k or 1080, as in the lead image or on AliExpress are 4032 × 3024 pixels (or 12 megapixels), whether they list HD or 4k (I tested one of each). The images they produce are nice, but not incredibly high quality. Also note that you can use this lens distortion removal tool to undo the notable fisheye distortion. Of course, it'd be great to see an even cheaper #raspberry-pi -based alternative too! A good starting point for evaluating these sub $60 action cameras is the sensor. Many if not all of these cameras use sensors that do not have as many pixels as the images produced by the camera firmware. So a camera claiming 16MB might have an 8MP sensor. As expected, it is not easy to find any information about the sensors in these cameras. Sometimes the physical size of the sensor is reported, and it is often tiny -- smaller than the sensor in a cheap PowerShot. These are probably the sensors made for cheap phones, or front facing cameras on phones and tablets. It might be possible to find or request information about the sensors in these cameras. That might provide a good filter before buying one for testing. I suggest you try aliexpress.com instead of Amazon -- why pay double or more money for stuff when you can buy it direct from China? They are an umbrella for many different sellers. And they have a decent customer support procedure if, as sometimes happens, something you buy doesn't make it all the way across the Pacific. Delivery can be very slow. The prices at Aliexpress seemed to be the about the same as at Amazon. Some of the product descriptions at Aliexpress named the sensor. For example this one has a Sony Sony IMX179 sensor. The camera is promoted as a 4k camera with 16MP photos, but that sensor is an 8MP sensor. I think that is very typical for these cameras. Hi Chris - yeah i would be surprised if it's actually different, these almost all seem like the same hardware in different cases. I have found some deals from time to time on this type of camera for <$30; could be worth buying to see, at that price. I chocked it up to not being familiar with the cameras but found it odd that when we took them down they always seemed to be off. 1) has anyone successfully done a firmware upgrade or such to improve the performance? 2) has anyone brought a frozen camera back to life? We've tried all permutations/combinations of memcard, battery, powered on with different buttons, etc. We can't really risk any more failed sessions, so I'm probably heading out to some camera stores now. 3) are there any models / families you'd recommend? That's it really, except I'd be hesitant to recommend these to anyone. Neither worked well and one pretty much died after a single flight. Not complaining, just looking for help and wondering if you have recommendations. I checked a clone or similar on amazon and it looks like 25% give one star because of bricking. Good news though. I stuck the memory card in my laptop and one of the sessions was fully documented. The camera stopped recording before we brought the kite down, so it was off when it arrived, and none of the photos showed up. Which correlates with what we noticed previously, that it really only works on a full charge, then things start getting weird. Like, with two bars remaining it will do 3 or 5 photos on continuous then just stop and go black, only allowing a reboot when the battery is removed. Then it will go back on, but just repeat. So when we rebooted it it would read any of the recent photos. I love GoPro, and I am following up to the question as I do want to know for some alternatives to it for aerial mapping. I have already been reading a lot about GoPro. Recently I come accross about Fish eye effect, and that is a great feature of it. Though someone mentions about removing Fisheye effect from GoPro using Photoshop, I want to know how can we do it in the gopro itself?